I began my interest in holistic skin care in 2001 when I began working for an Aveda salon as a cosmetologist. Aveda's approach for any service is to treat the whole body, through aromatherapy, breathing exercise, and environmental awareness. Through my continued education with Aveda, personal research and other studies, my passion for a whole body holistic wellness began to grow. Throughout the years I have continued to expand my knowledge in the foundation of Ayurveda, essential oils, product ingredient research and understand the importance of a whole mind, body, soul approach. Touch and emotional wellness are vital to life and healing of the body, mind and spirit and this is why I have opened Blue Lotus Healing Touch. In 2013 I began my studies for Massage Therapist at the Baltimore School of Massage in York, PA and have now been a Licensed Massage Body Therapist for nearly 4 years. I am grateful to integrate all I have learned into my practice of massage, esthetics and the products I use. I look forward to continued growth in my knowledge and education. 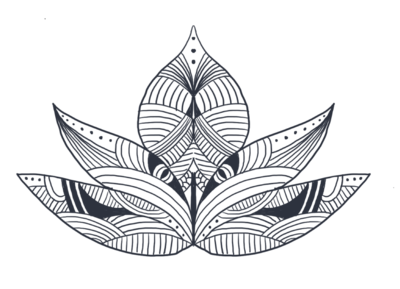 Blue Lotus Healing Touch offers a holistic approach to mind-body wellness through esthetics and massage. Every service is tailored specifically for you for each session whether it is a facial or massage. It is my goal to create a space to facilitate healing, comfort, and inner peace for every guest; assisting you in feeling more integrated, balanced, lighter, relieved, and relaxed. I typically schedule massages in 60, 75 and 90 minute sessions. During that time, I will use any combination of therapeutic modalities that are right for you, while every massage has a foundation of Esalen techniques in order to promote a deeper sense of relaxation. Aromatherapy is also integrated for added emotional and mental balance. I also offer CranioSacral Therapy and Maternity Massages. As with massage, my approach to esthetics is a whole mind-body wellness approach, which means I include stress relieving and massage techniques into every service. Every facial is customized to your specific goals in order to bring balance, not only to your skin but also to your spirit. Because I believe in using and promoting products that are holistic, chemical free and are trade fair, I am proud to say that I have partnered with Laurel Whole Plant Organics Skincare, a holistic, farm sourced, hand crafted, professional product. This allows me to fully integrate my love of holistic wellness with my love for the art of massage, esthetics and healing through nature.